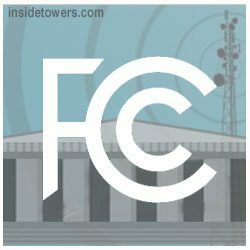 Saying that the small cell deployment process is broken, FCC Commissioner Brendan Carr announced Wednesday the Commission plans to eliminate historic and environmental review procedures for small cell deployments and streamline those procedures for large cell deployments (see story #2). A big reason is cost, and the agency wants to clear a path for 5G deployment. One provider told the FCC that some of the fees associated with these reviews increased over 2,500 percent over the past seven years in one part of the country, Carr said at the Consumer Technology Association’s 5G Day on Wednesday. At last year’s Super Bowl in Houston, one carrier sought to deploy 23 small cells on the stadium and on poles in the parking lot. It paid nearly $108,000 in Tribal review fees, according to Carr. A different carrier paid over $12,000 in Tribal review fees to deploy a small cell pole outside an industrial steel factory in East Chicago, IN, “even though everyone agreed the installation would not affect Tribal interests,” said Carr. Under the FCC’s rules, the Tribal review process applies to the deployment of essentially any licensed wireless facility anywhere in the country — even deployments not on Tribal land. While noting that protecting and preserving the cultural and historic interests of Tribal Nations is important, Carr added, the current rules are producing expensive, anomalous outcomes and diverting money that could be used to serve underserved communities. The proposals would streamline the Tribal review process for small cell deployments. “Commissioner Carr is exactly right that modernizing outdated infrastructure rules is key to the United States winning the global race to 5G,” said CTIA President/CEO Meredith Attwell Baker. “His proposals would address outdated federal laws that needlessly delay wireless deployments and add millions in costs, and we urge the FCC to support this common sense approach,” said Baker, who’s also a former FCC Commissioner.